Is your organisation using Microsoft Office 365 or GSuite? If yes, are you aware you get Multi Factor Authentication for FREE? Why is this important? We recently ran a campaign with some of our customers to test their awareness of SPAM attacks which capture credentials and found that many people failed and entered their company credentials into fake document sharing links. Enabling MFA on your Office 365 or GSuite tenant is something that netier can turn on straight away and requires minimal configuration, this will ensure that even if someone in your organisation loses their credentials the account can not be accessed. For everything else we can use DUO for your team, this is great for your website, Remote Desktop, VPN, AWS and many other services. 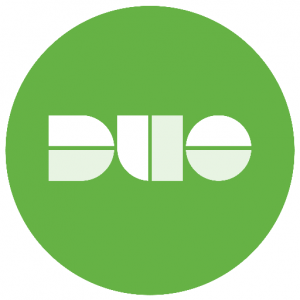 DUO delivers two-factor push notifications to your phone for fast and secure access that won’t slow your users down. Netier recommends all our clients to use multi factor authentication in combination with a good password policy. The current recommendation by ACSC is for 13 character passwords when multi factor authentication is not in use. Did you know that netier offer online security awareness training packages? Education is a key defense against cyber security risks and we have a number of modules that can be rolled out quickly and easily for the whole team. Netier’s ACT Healthier Work Case Study Exploits. Intercepted.